Apple's opening of the iOS keyboard floodgates has created enough space for a small skirmish between Google and Microsoft. Microsoft only introduced its iPhone keyboard—Word Flow for iPhone—in April and the company is already moving to version 2.0. 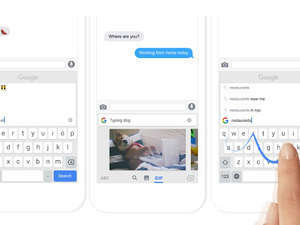 The latest update from the Microsoft Garage project, which launched on Tuesday, adds some new search features that appear to be a direct response to Google’s Gboard that rolled out in mid-May. Word Flow’s new GIF search. 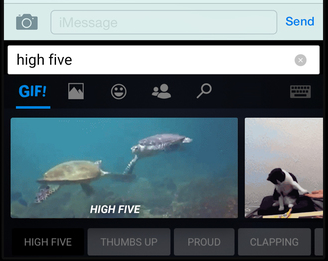 The new Word Flow update adds an easy search function for GIFs and emojis to add a little spice to your messages, as The Verge first reported. Word Flow can also connect to your contacts, making it easier to share a person’s phone number. Previously the contacts integration feature only made it easier to find a contact. The new Word Flow also adds built-in Bing search capabilities. Microsoft says you can use Bing to paste in weather forecasts, news, videos, and so on right from the keyboard. That’s actually pretty helpful for sharing something while in the middle of a chat—quickly switching between apps on a mobile device is always a pain. 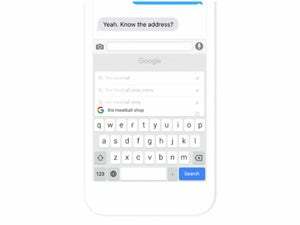 Google’s Gboard offers similar features to those that have now been added to Word Flow. The story behind the story: Google and Microsoft’s dueling keyboards are a small skirmish in the two firms’ ongoing rivalry. As the keyboards tie in to search, both companies can gain valuable user information from iPhone users who tend to be a sought-after demographic for advertisers. Actual advertising may not be happening inside the keyboard itself, but any information gained from usage can help to improve search results, better target ads, and so on.